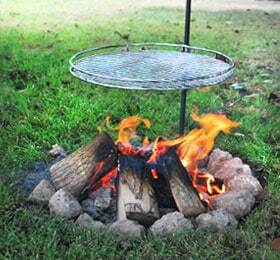 If you’ve stayed in our bell tent or camping pods you’ll have used one of our camp fire grills. 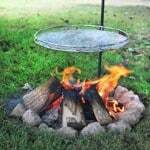 We’ve used various camping grills and love this one! It packs flat for easy storage in the car and comes in a study canvas bag for clean, easy transport. Best of all you can adjust the height of the grill over the fire and swing the grill away from the fire when you are serving.